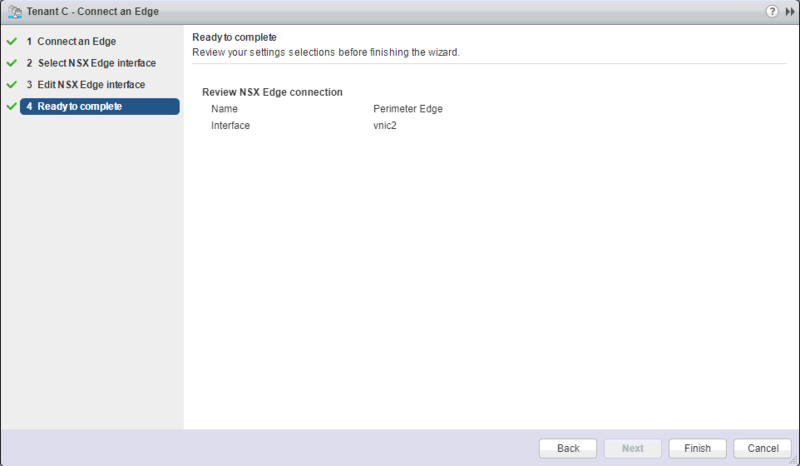 In this blog post I will cover section 2 objective 2.1 of the VCAP6-NV Deploy exam. 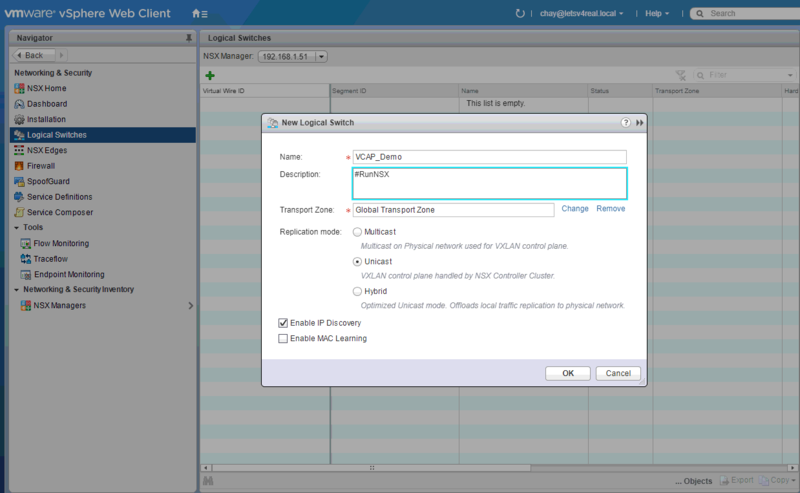 A NSX logical switch is similar to a VLAN in that it allows VMs that are connected to it to communicate and just as a VLAN has a ID, a logical switch is assigned a VNI (VXLAN Network Identifier). 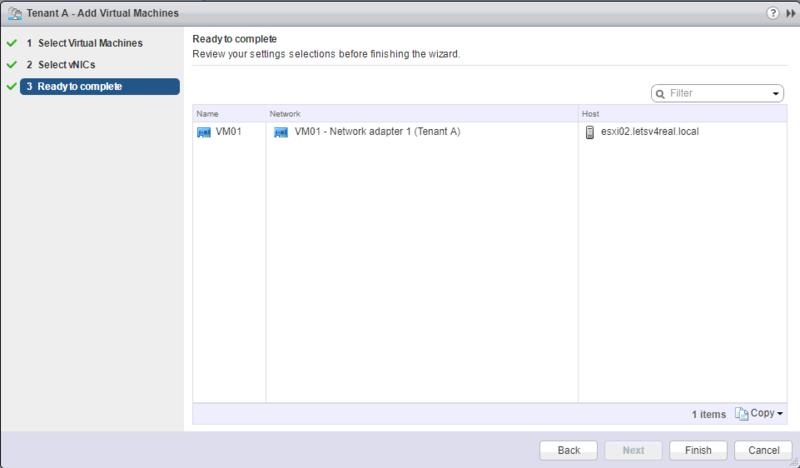 The major difference between a standard VLAN and a logical switch is the number that you create. 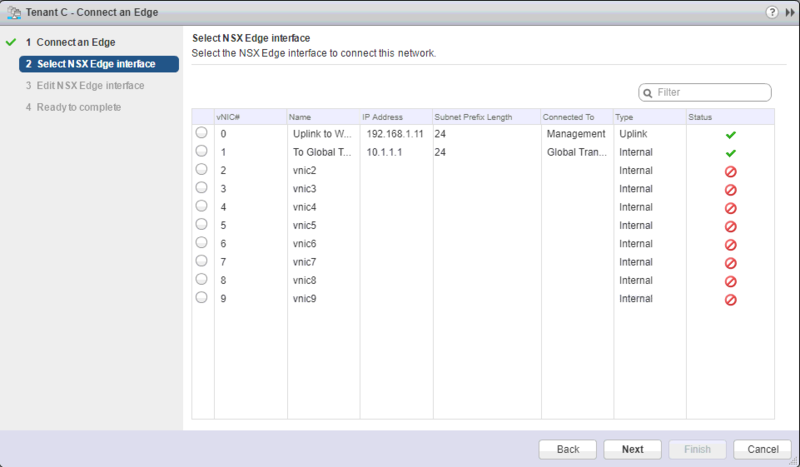 While you are limited to 4096 VLANs, you can create up to 16 million logical switches! When you create your logical switch and select the transport zone to make it a part of, it inherits whatever the replication mode is for the transport zone. In my case that is Unicast. 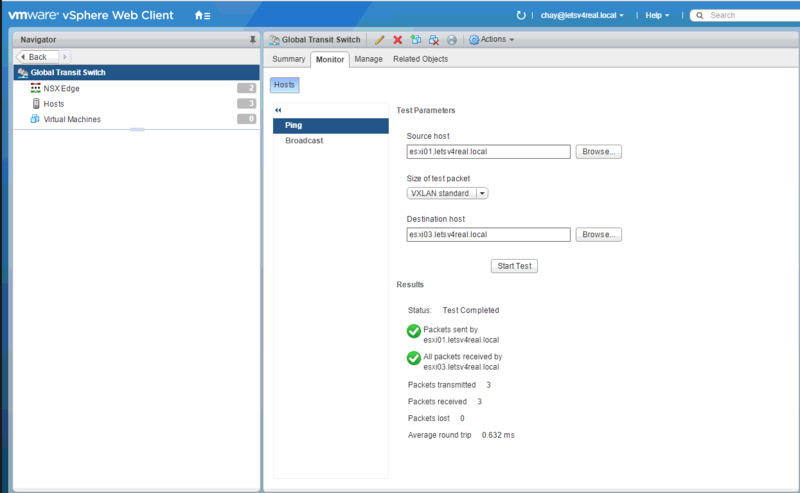 The option for Enable IP Discovery is enabled by default. This setting reduces ARP traffic flooding. 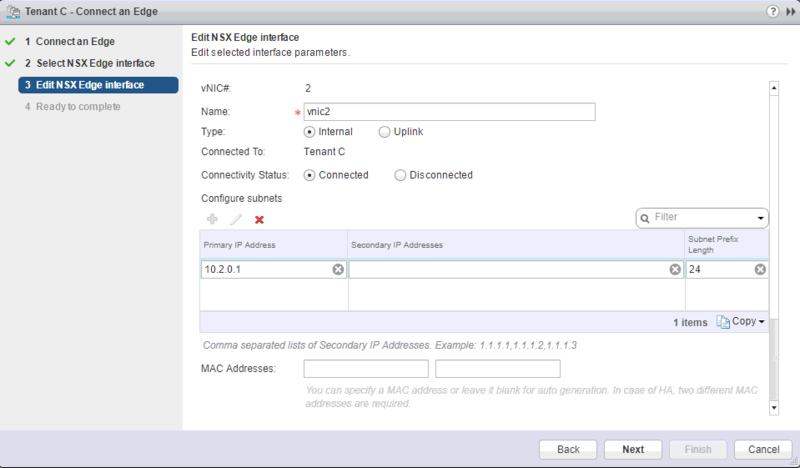 Enable MAC Learning builds a VLAN/MAC learning table on each vNIC. If your VMs have multiple MAC addresses or are using vNICs that are trunking VLANs, then you want to enable this option. To delete a logical switch, its as simple as right clicking on the logical switch and selecting Remove. You can’t add a IP address to a logical switch. 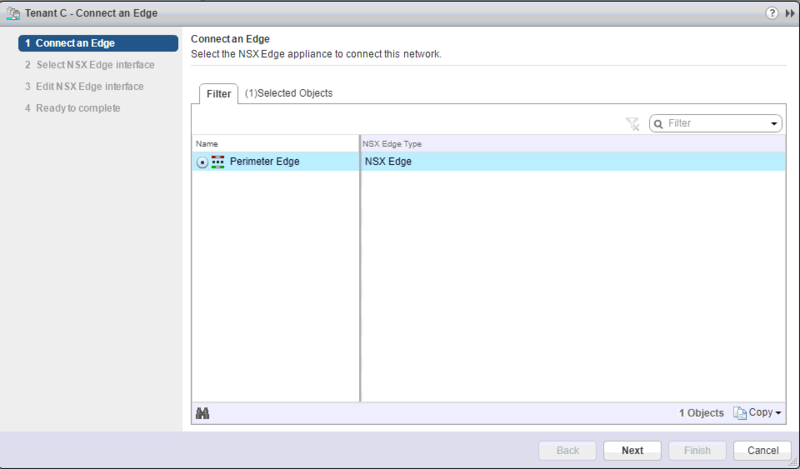 You add the IP address to the interface of the Edge device or logical router that is connected to the logical switch. This will be covered later on in the study guide. Select the interface of the edge device that you want to connect to the logical switch. Click Next. Here, we want to enter a IP address for the interface connecting to the logical switch. Also determine whether the connection to the logical switch will be a uplink or a internal interface. Click Next. 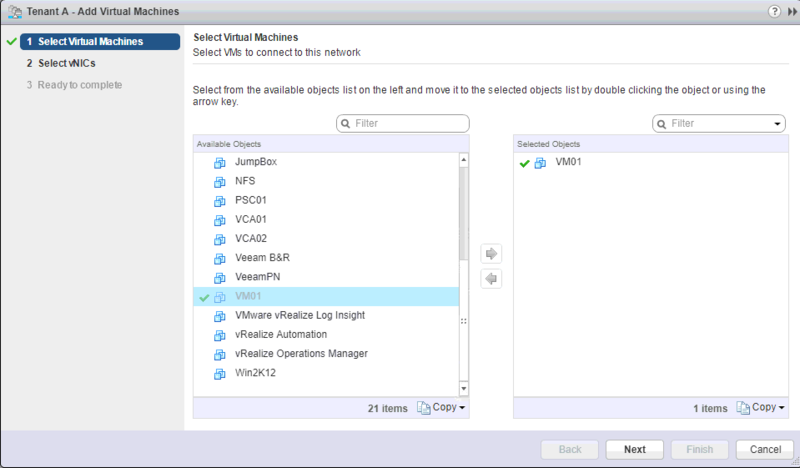 Select the VM that you want to connect to the logical switch. Click Next.